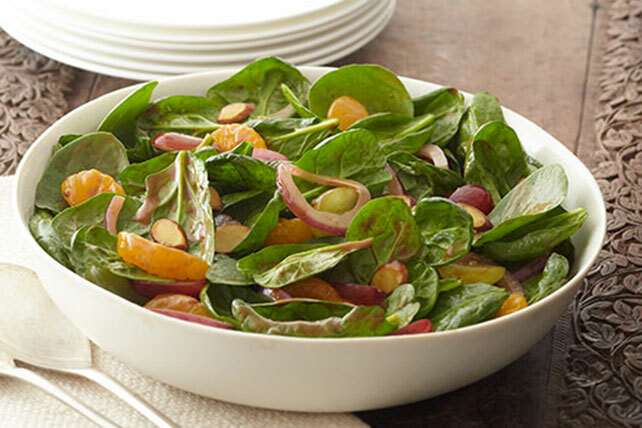 We call this the Gather 'Round Spinach Salad because that's what folks tend to do when you set it on the table. Substitute sesame seed for the nuts. For added color, prepare with a combination of green and red grapes. Prepare using KRAFT Lite Asian Toasted Sesame Dressing.